We’re delighted to announce that we’ll be packing up the van once more and making the big trip up north for our return to A Taste Of Donegal! It’s a guaranteed fun filled, foodie event, suitable for all ages and tastes. Festivals like this are our favourite thing to do as we get to meet all our customers, old and new, while sharing a taste of all the products. 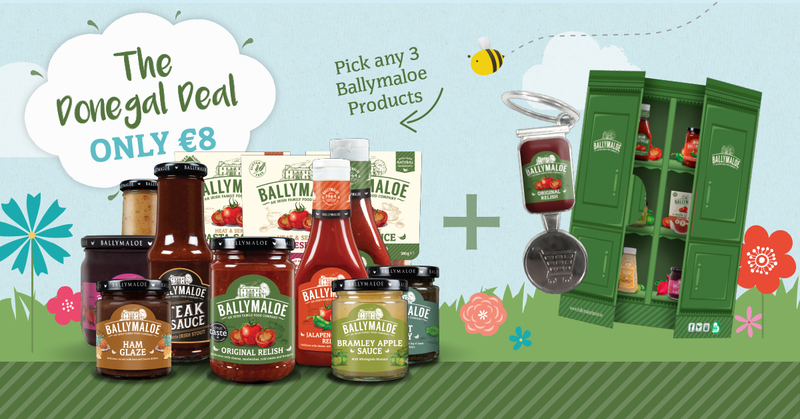 We will have the popular Donegal Deal on offer again – any 3 Ballymaloe products, a recipe booklet and trolley coin. The 10th annual festival will be held on Friday the 24th-26th of August. We’re really looking forward to meeting you all there!